Arizona has many good clinics that can perform IVF (in vitro fertilization) but we can’t deny the fact that the procedure, due to its delicacy, should not be decided and done on whim alone. After all, the couple who want to undergo IVF should consider beforehand the fact that it would require personal, emotional, and financial investments over an extended period of time in order to ensure a successful operation. This is true all the more so to women since they are undoubtedly the ones who are more involved in this type of assisted reproduction. While IVF itself is already one kind of fertility treatment option, there are numerous variations in the actual procedure. You, as a couple, have to consider how each one is performed as well as their physical requirements. Natural cycle IVF completely erases the normally included step of ovary stimulation. A waiting period replaces it instead until the woman produces one egg as part of her natural menstrual cycle. This method has a couple of advantages such as no extra eggs are produced through stimulation, which often leads to greater risk like multiple births. Most of the extra eggs produced through ovary stimulation are either disposed of or frozen anyway, making the natural cycle method as the most practical option in the long run. However, this method doesn't have its disadvantages, as this is the option that actually has the lowest success rate. It is because of this fact that most women shun this method altogether. This method involves ovary stimulation but the main difference lies in the fact that controlled stimulation makes use of fewer hormones at a shorter period of time. This is necessary to prevent the onset of ovarian hyperstimulation. Ovarian hyperstimulation syndrome, after all, is one of the most common side effects of the stimulation of the ovaries. Controlled stimulation prevents this and is faster than the normal IVF method. The most notable downsides of this method, though, is that this also leads to fewer eggs compared to normal stimulation, thus, fewer eggs to choose for transfer as well. Be that as it may, there is actually not much difference in the success rates of both controlled and normal stimulation, making the latter more worthy of consideration because of its ability to mitigate side effects. Once the IVF phase is finished, the chosen fertilized eggs are cultured for a day more or two before being transferred. This differs from other transfer methods in such a way that the eggs are no longer frozen (for potential future use) and used immediately. In cases where couples want to have another child, a frozen embryo is transferred instead. This effectively skips the ovarian stimulation part of the procedure and is especially encouraged if the woman is already suffering from ovarian hyperstimulation syndrome. Freezing and storing extra fertilized eggs are only ever done if the couple still plans to undergo IVF again in the future. This method is usually only recommended if the woman has had multiple failed cycles in the past. 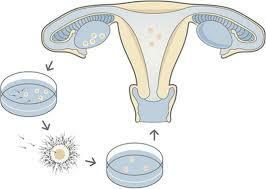 This involves treating the embryo to make the outer layer of the uterus more receptive to embryo fertilization. Many allege this is able to increase the success rate of fertilization but this is still subject to research. Now that you have a good overview of how IVF treatments are performed, it's now both in your hands to decide on which one is the best for you health and cost-wise. Just keep in mind that IVF is one of the safest fertility treatment options available at present. Bloom Reproductive institute is one of the largest providers of advanced infertility treatment in Arizona. We provide the full range of IVF services, includingin-vitro fertilization (IVF), egg/embryo freezing, embryo blastocyst culture and biopsy, PGS/PGD, and fertility preserving surgery. With the help our advanced reproduction and fertility treatments, our expert team is committed to helping patients achieve their dream of starting a family.